We live in a world where high-tech gear is all around us. This is evident anywhere you look, and that tech finds its way in fields where you may not be expecting it. Night vision rifle scopes were only a product of our imagination some years ago, if you weren’t in the military, but now you can buy them freely. 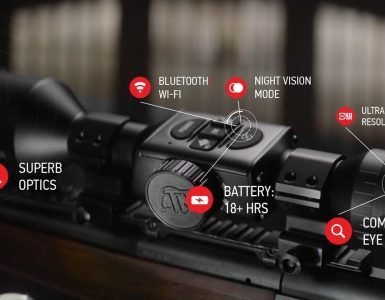 Aside from the regular ones that offer night vision functionality and maybe one or two extras, there are others that have gone all out and crammed an immense amount of tech into their products. ATN belong in that second category, and that’s pretty evident when you pick up their X-Sight II 5-20x night vision scope. 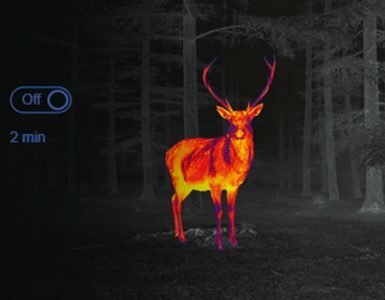 They claim to have put thousands of hours of research and development into it, with an end goal of making the best night vision scope possible, while still having it fit into almost any budget. 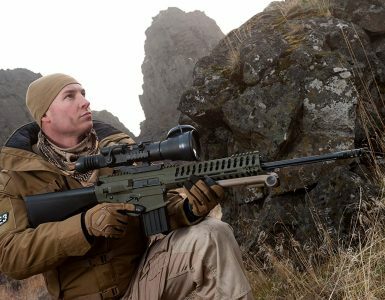 If you’ve ever wanted a scope that you can use both during the day, and the night, which also has ballistic corrections and recording capabilities, you’re at the right place. Best of all, you won’t be paying too much for it either. Let’s see what they offer. Hint – there’s plenty! When you first take it, you’ll find that it isn’t extremely heavy, coming in a touch over two and a half pounds. There are four AA batteries required for power, and they’ll give you around three hours of use if you don’t push it. However, if you’re using the rangefinder, camera etc., this may be a bit shorter. That’s not too much, as many people spend more time than that out on the range or in the woods. ATN does offer an optional power kit, though, and that gives you an extra 22 hours of use. If you’d rather not spend that much, just carry extra batteries – the change is tool-free. The scope is mounted via a Picatinny mount, and that one is already attached. There’s a spring tensioner that keeps the screws from loosening, which is great. You can also put in an optional SD card, but more on that later. When you turn it on, you have a home screen that lets you choose settings, or take a shot. In it, you’ll find night vision, wi-fi, a compass, a rangefinder, a digital camera for both video and stills, as well as a ballistic calculator. The asking price isn’t very high, and when you consider that you get all of these things in one device, it’s worth it even more. The ballistic features are an attention grabber, as they do save you a lot of time. A traditional scope will make you range the target with a rangefinder, and then use ballistic software to calculate the drop. Afterwards, you need to accommodate for the slope, and make the shot. And if the target moves, or the wind changes, you have to do it all again. With the X-Sight II, there’s a two-step system that does all of this for you. You just need to know approximately how big the target is, and range the head and the feet. Admirably. Zeroing is very easy – all you need to do is make a shot, put the reticle where it hit, and press Enter. You can also save preset zeros, something that’s much better than actually doing it every time. This doesn’t work just for distances, but for separate guns as well. For example, if you plan on using it on different guns, or with a multi-caliber system, this is something you will absolutely appreciate. And it works great, without any mistakes. There are seven reticles to choose from, with a Mil-dot 7.3x one, and a BDC one too. With the Mil-dot on, the subtention is 1 MOA on the elevation axis at 12x zoom, and 2 on the windage line. You can also choose colors, which lets you use it both during the day and during nighttime with ease. For people that are colorblind, there’s a blue option. Now, this is indeed a feature-packed scope, but if the night vision doesn’t work well, it’s not worth it. Fortunately, it works amazing, and there are a few options as well. You can choose between green, or black and white, and it’s good to know that even if you do activate night vision during the day, you won’t damage the scope. Last but not least, there is a host of media features. On that SD card we mentioned, you can record photos or HD video, for reviewing or sharing afterwards. When you have a photo opportunity, you don’t have to reach for a camera, or even carry one for that matter. There’s also a recoil activated video system which buffers 10 seconds of video and triggers automatically with recoil. When you consider everything that you get with this scope, it’s hard to say that it’s not a good option. Having that many features in a single scope may lead you to believe that some of them don’t work that good, or that the night vision functionality is where ATN have compromised. You’d be wrong on both, because there were no cutting corners here, they just cut the price. There are some night vision only scopes that often cost three to four times as much, and they don’t offer nearly as much functionality. Here, you get a lot more than you pay for, and the quality is also amazing. If you’re looking for a high-end scope without any fuss, no, the ATN X-Sight II isn’t for you, and you may find something that suits you better here. However, if you’d rather get a budget, or mid-range offering, which packs all the tech you’ll ever need, and works admirably, you’re at the right place. The basics work just like they should, and all the media additions will make your next outing with this scope a real pleasure.